Tahini Cookies with DoTERRA essential oil! Mix all ingredients together and roll into 1-2 inch balls. Bake at 350 degrees for 8-10 minutes! Yum!! 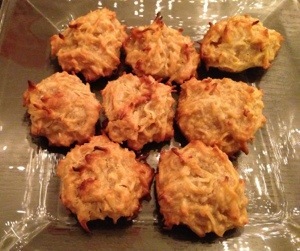 These look like a delicious twist on the macaroon! Any idea if they’d hold together without egg? I’d love to make these with my after school students, but I have one who doesn’t eat eggs.